Yes, my first ever give-away, and there are two prizes, plus a bonus! I’m not asking anyone to follow me, promote me or stand on their head – all you have to do is leave a comment telling me which one you want, knitting or sewing. I’ll pick the winners at random (overseas is fine). Entries close 17 April at 6pm EST. Late 40s to mid 60s, some highlights include Patons 435 from the 50s, with amazingly over the top poses and hair. 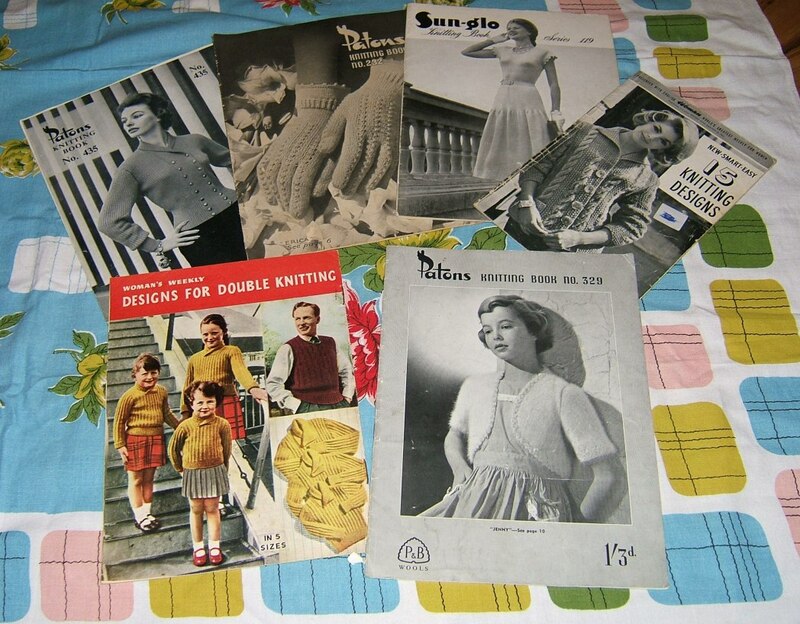 Sun-Glo 119 is full of knitted dresses from the late 40s, how practical (tongue in cheek). A nice selection of dates (40s to 60s), mostly size 34 however the sailor sheath dress is bust 38. Extra bonus!!!! 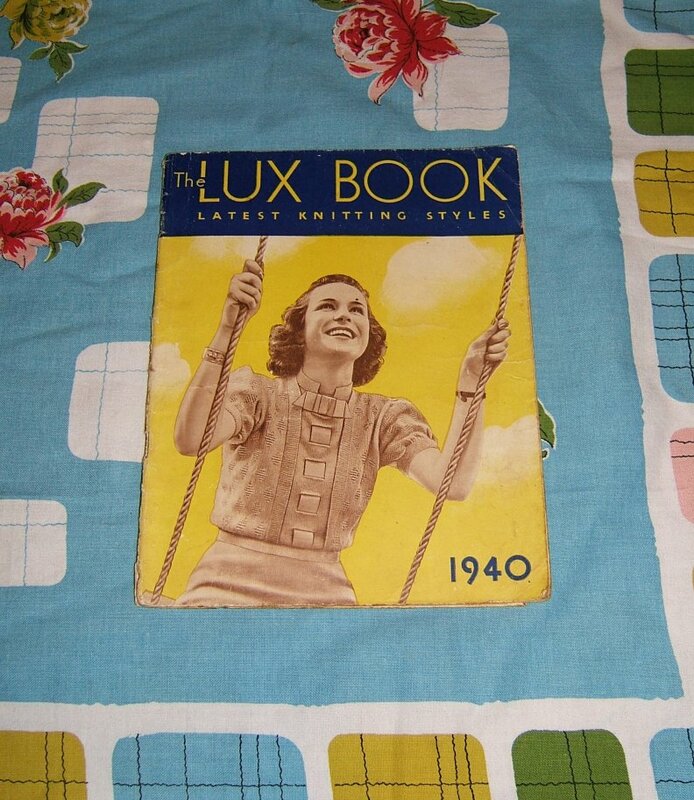 – 1940’s Lux Knitting! This is probably the best issue of Lux (imho). Its the Australian edition, with beautiful cardigans, sweaters and ‘family’ items – not to mention the advertisements scream 40s! Lux’s are highly collectable, and can go for crazy prices on Ebay – turns out I had two copies of this beauty, so instead of selling it i’d rather give it away to someone who really wants it. As for the Lux book,… who doesn't want one of those!!! 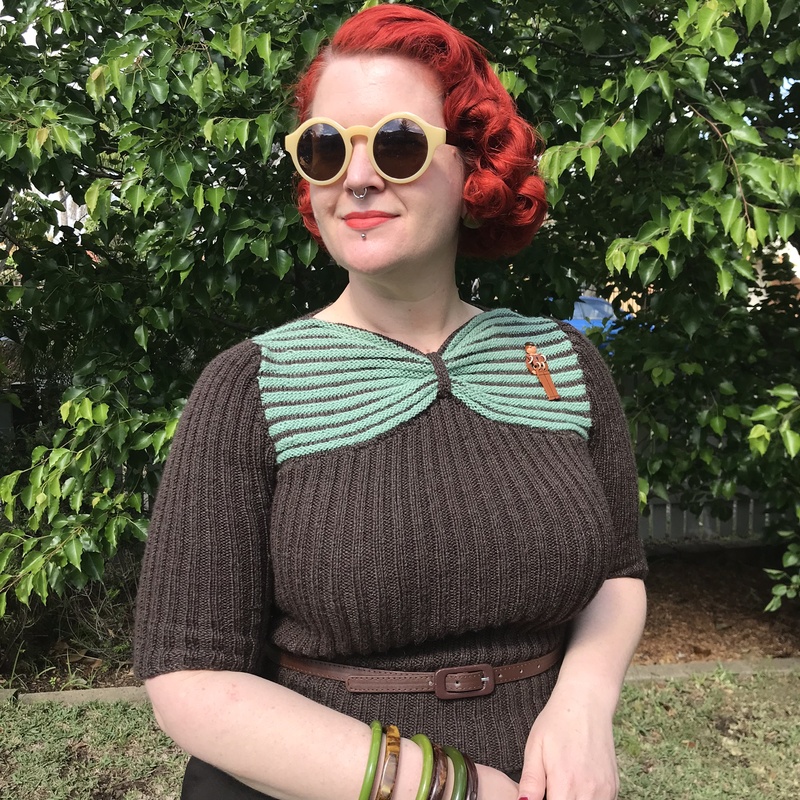 😀 Even if I can't knit anything directly from it, the inspiration I get from seeing vintage lines warrants any and all vintage patterns and books. I can't sew or knit so please don't enter me (I can crochet like nobody's business though!). Just wanted to say YAY what an awesome giveaway. What a fab idea. OOOO, I love this giveaway. Sewing please. This is the kind of giveaway I dream about – and I do dream regularly of finding vintage treasures. You know, like a yard sale full of 1930's gowns for 50 cents each. Knitting, please – what a great selection! Oh gosh, I just got distracted and read the last 20-odd entries while this window was sitting open waiting for me to type….love the blog! Just subbed in Reader. I agree with everyone else- what a great giveaway! And you know what makes it even better? 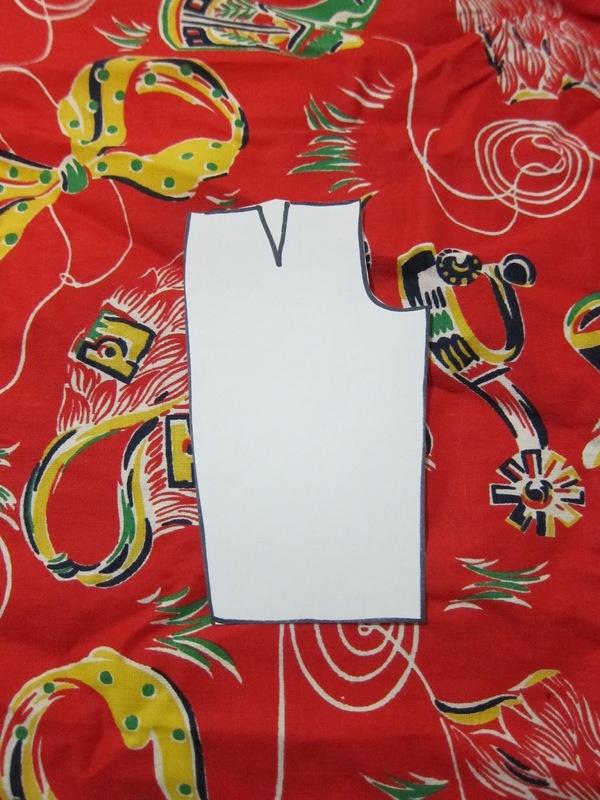 Your blog is such a great find, and the sewing patterns are IN MY SIZE! What a wonderful give away. I would love a chance at the sewing patterns! Great giveaway! Would love the sewing patterns please. Thanks! Oops- forgot to comment on the bonus prize. I would love to win this because I am just learning how to knit and having a book of vintage patterns sure would help to motivate me to practice more! OOh GREAT! GREAT GREAT! Give-away!!! I'd love to be in the drawing! Why should I win – because not only do I knit but I've re-discovered my passion of sewing just a few weeks ago! What lovely giveaway. Sewing patterns please. I love the sailor dress. I've never seen anything like it. Ooooh!! 😀 I would absolutely LOVE to win the Sewing! Thank you for the chance at your lovely giveaway!!! 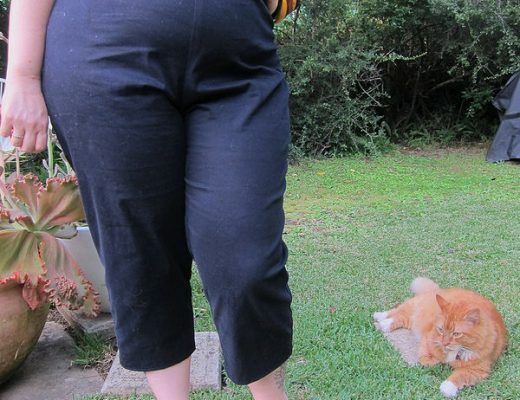 It's a tough choice, but I sew better than I knit, so I would be over the moon if I won the sewing patterns – they're my size (the 34's anyway)! I love gawping at vintage knitting patterns but my knitting is limited to scarves. The sewing pattern look lovely and even though my chesticles haven't been 34 for a long time i could make goo use of them! If you could include me in the draw for sewing patterns that would be great! 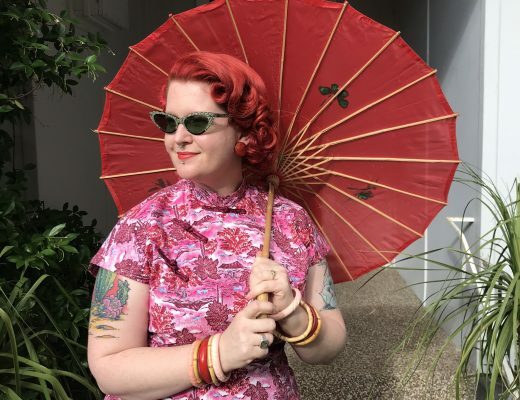 I have made clothes from vintage patterns for about two years and am trying to be brave and start my own blog. So if I was lucky enough I would bite the bullet and start my blog and have this pattern as my first post !!! Thank you ! Oh, drat, my comment got eaten. I'd love to win either set, but especially the sewing ones because OMG SAILOR DRESS. I'd also really like the bonus prize because I have a bit of an obsession with the 1940s, esp the British Home Front, and it'd be fascinating to see a little bit of what it was like on the other side of the world, through a knitting lens. Right, off to read the rest of your blog now, love the title! Yaaaay competition! Joy! Put me down for the sewing stash. I never quite mastered knitting so it would be wasted on me. 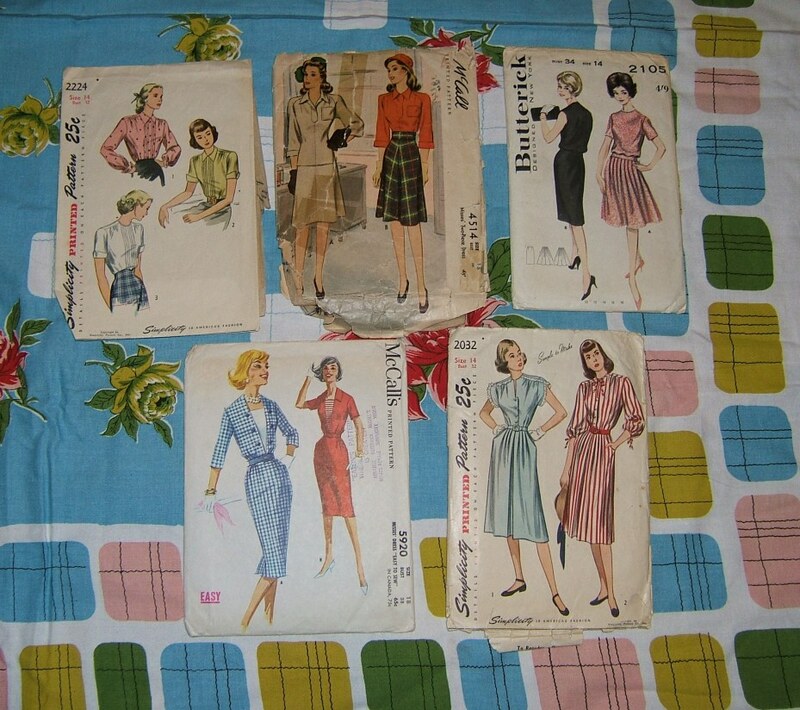 Please count me in for the sewing patterns, I've never worked with a vintage pattern and I'd love to get to know the vintage clothes construction. I would love to be entered for the sewing stuff please!!! What lovely collections. Vintage sewing please. Love your hair. I'd love the sewing one! 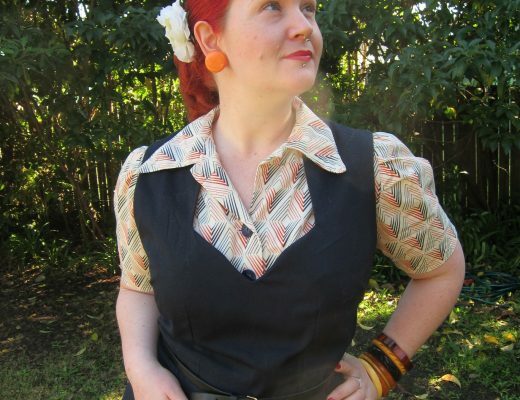 I fiound your blog through Sew Retro. I would love the sewing one! I live in Madrid, Spain, and I have a really hard time finding vintage patterns. I'd really ♥ those sewing patterns! Thx! The sewing patterns are gorgeous – esp the one with the black and pin views on the envelope. these little fingers of mine don't knit, but love to sew!! fingers crossed! thanks!! Sewing looks good to me! Wow, you are super generous! They're all so lovely & tempting for a polyamorous crafter such as myself. But even though summer is coming here in the northern hemisphere, my gut is telling me to pick knitting! Great giveaway. I would love to win the sewing patterns. I am new to knitting so the bonus pattern would also be fun to win. Thanks for the chance. Yowza! I didn't even realize the Lux was also a giveaway! Those are hard to come by! And gorgeous! If I win, I'll knit you whatever you want out of it! What a fantastic giveaway! Please toss my name into the hat for the sewing patterns. 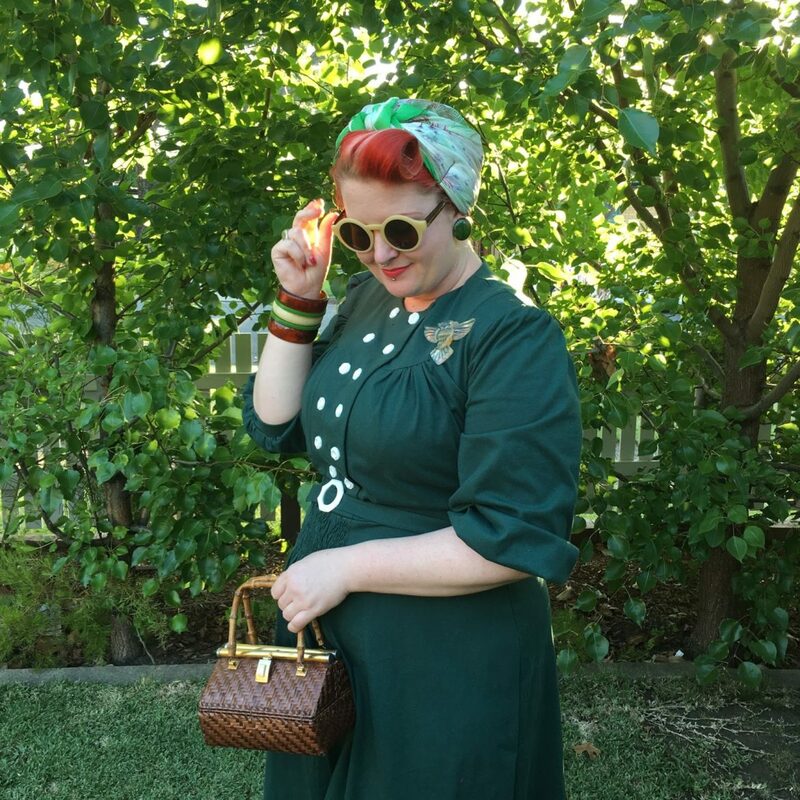 Bonus: Though I've been sewing for a long time (some might call me vintage! LOL) some of the sewing techniques given on vintage patterns is priceless. I'd love to go through these to cull a few handy tips. I would win the sewing pattern!! Sewing, please, and I agree with everyone else, fab giveaway! Great giveaway! I would love to win the knitting patterns. One of my goals for this year was to learn how to knit (more complicated things than a scarf) and this would be a great place to start. Fantastic patterns, my fav is the bottom right, the blue dress with the frilly sleeves and the red and white striped one, so pretty! Great giveaway! 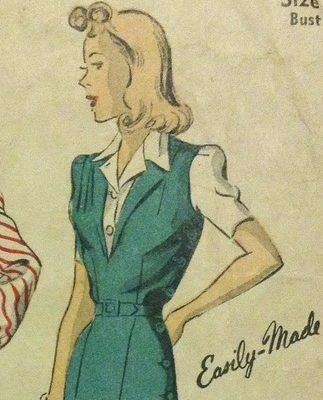 I love the vintage sewing patterns. Thanks so much for the chance to win! Drop my name in for the sewing patterns! My internship for the summer just fell through, and I'm cheering myself up by thinking of all the extra time I'll have to sew – something that gets pushed to the side during the school year. I'd love to be included in the draw for the knitting patterns. I have recently become interested in vintage fashion but have no vintage clothing yet. I have been a knitter for about 8 years. I recently knitted a baby jacket for my friend's baby from a 1940's Women's Weekly pattern and it was so much fun! OOOOHHHH!!! WOWW!!! I wanto to enter!! I wpuld prefer the sewing patterns, thanks for having this give away! I hope to be the winner!! Quiero ganar! quiero ganar!!!! Holy crow look at those vintage patterns! Knitting for me please! 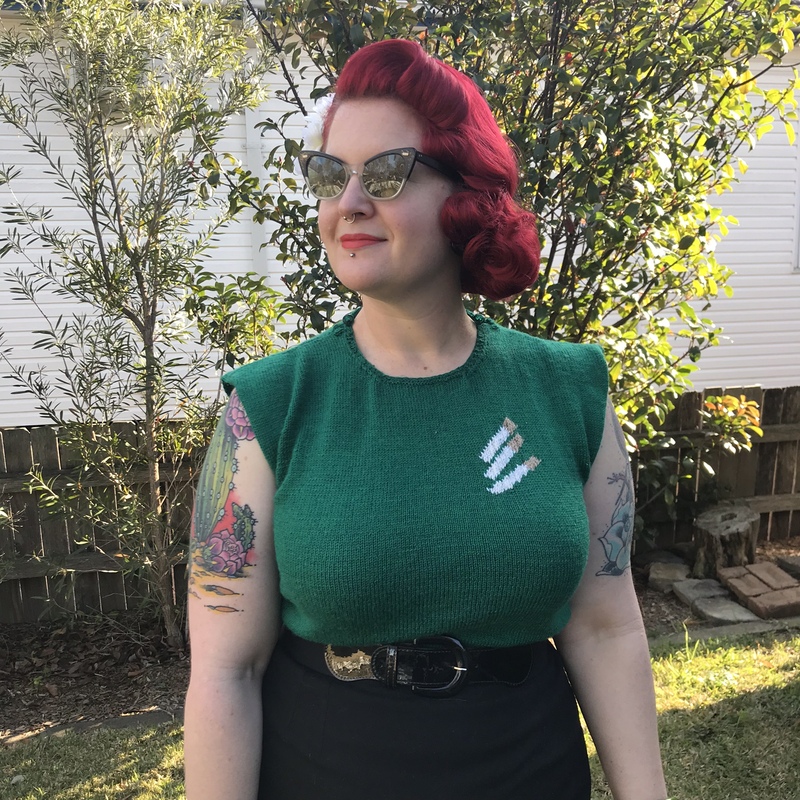 I've recently started really getting into vintage clothing and have been coveting vintage knit patterns. OMG. I am drooling over those sewing patterns. they are even in my size! I adore the mccall's 5920, and i am just taken with S 2224. please pick me!!! Yay, giveaway! I'd love the sewing patterns! 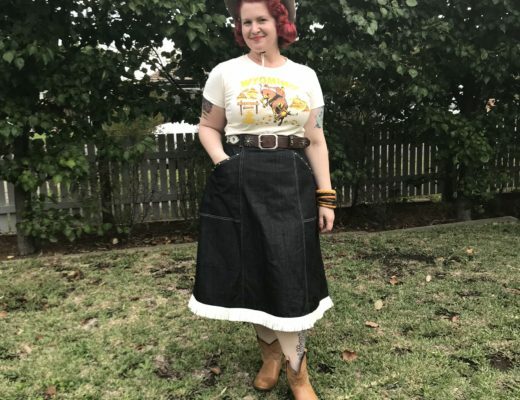 I'm new to the sewing/vintage world, but I think I'm doing rather well. I don't really knit, but winning the bonus prize would be lovely just for the sake of history! If I won, I'd like the sewing patterns. Why? Because it's so hard to find those gorgeous vintage styles! Fantastic giveaway! Knitting for me, please. ;] They look marvellous. I'm always on the lookout for more Sun-glos for my collection – they're a lot more 'funky' (for lack of a better word) than a lot of the Patons, I find. Fabulous giveaway! Put me down in the sewing drawing. I adore vintage patterns! 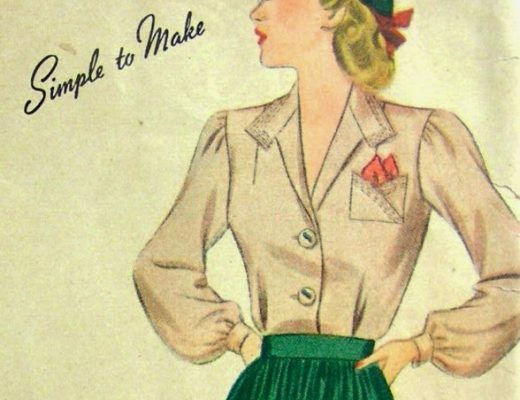 i would love the sewing patterns – even if i do have to grade up. 🙂 the bonus prize is awesome just because of the picture on the cover. p.s. your tablecloth is AWESOME. I would love to win the sewing patterns because I own a couple of vintage knitting patterns already, but only one or two sewing patterns. Knitting please! I've got lots of sewing patterns and am comfortable drafting myself in most cases, but when it comes to knitting I'm not quite skilled enough to make things up completely. I'd love to have the knitting patterns to help expand my wardrobe (plus who doesn't need more projects)! That magazine is great, too. Thanks so much for hosting the giveaway! Either! The sewing patterns make me swoon. And the knitted gloves are so pretty. How kind of you! Standing on my head … following you … and dreaming of the knitting or sewing patterns! Oooh I LOVE your giveaway and your description totally drew me to your blog since we might have a few things in common! 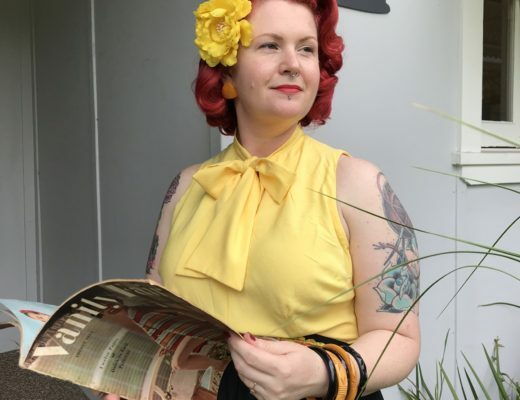 I am also a vintage-obsessed femme homo who hoards vintage patterns. Since I am having a hard time teaching myself how to knit, I choose the sewing patterns. I adore making things from vintage patterns with reclaimed fabric. Check out my blog to see that I can put those patterns to use! I'm interested in knitting! 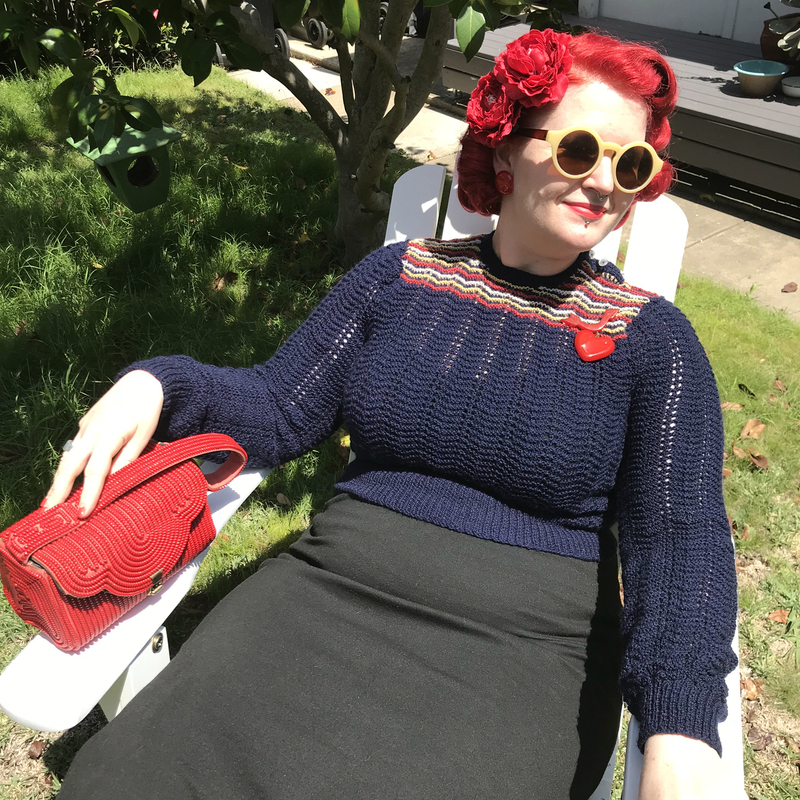 I have a collection of old knitting magazines, and I knitted a 40's buttoned blouse recently, with emphasized shoulders. How cool, Bex! Naturally – I want to be entered for the knitting patterns; I LOVE the look of that top left, the Patons one – and I so want to see the look on her face. Is she doing posh and arrogant? Cute and upturned nose? I need to know! I would love to be entered in for the knitting patterns. Also, for a chance at the Lux book, I'd love to just be able to look at it! I don't have any vintage knitting patterns, or really any vintage print items, so this would be a really fun thing to pore over! The sewing patterns are fabulous! I love the bottom left one especially, but they are all lovely. OH MAN! LUX! KNITTING KNITTING KNITTING!!!! That is to say, I would greatly prefer the knitting group, particularly if it includes that delightful Lux book from my favorite period of design. Indeed.